Laser tattoo removal safely and effectively removes tattoo pigment from all skin types using multiple wavelengths that can be customized to address specific colors. Unlike all other laser treatments, laser tattoo removal works through the theory of the photoacoustic effect, and uses ultra-short, high-energy Q-switched laser pulses to shatter pigment without producing much heat. This allows the body to naturally expel the pigment. Other lasers work through the photothermal effect, and use heat to target and destroy pigment. If the wrong device is used, the tissue being treated can overheat and may result in unwanted burns and scarring. Why is laser tattoo removal different at Seiler Skin? In order to successfully and safely treat tattoos, medical practices offering this treatment must have a special type of laser and practitioners must be highly trained to use the device effectively. More complex, multi-colored tattoos require a device with multiple laser wavelengths to address any and all colors. At Seiler Skin, we use the Fotona QX Max (Q-Switch) laser, which has all the wavelengths necessary to remove even the most complicated tattoos safely. Why do we use the Fotona QX Max (Q-Switch) laser? There are a number of laser tattoo removal devices on the market. After carefully evaluating the top devices available, Dr. Seiler – Executive Director of the American Board of Laser Surgery and a renowned expert in complex laser procedures and theory/physics – determined that the Fotona QX Max (Q-Switch) laser is the best option for treating all types of tattoos. *NOTE: Although the Pico lasers (PicoWay and PicoSure) are well-marketed, multiple studies have proven that the Pico line of lasers is not superior to the device we use at Seiler Skin – it is simply more expensive. Laser tattoo removal has a reputation for sometimes being a painful procedure; however, at Seiler Skin we ensure that any discomfort is minimized. We use a local anesthetic and very strong, topical medical-grade numbing cream to numb the area prior to treatment, which alone significantly reduces the possibility of discomfort. We also offer Pro-Nox, a nitrous-oxide device that produces a mild sedative effect (similar to the “the gas” at a dentist’s office). The nitrous-oxide gas is quickly metabolized out of your system, and you can safely drive home immediately after your treatment. 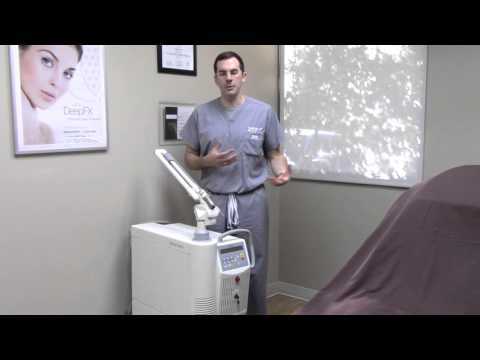 What is the downtime after laser tattoo removal? The downtime after laser tattoo removal is minimal. You can generally return to normal activities immediately after treatment. Some patients report mild soreness or blistering in the treated area, but Dr. Seiler’s post-treatment, medical-grade skincare regimen alleviates any discomfort and greatly improves healing times. We also use the new PFD patch, invented by Brian Biesman, M.D., which further reduces downtime and risk of blistering. The number of treatments required to remove your tattoo completely will vary depending upon the size, location, number of different colors, age of the tattoo and whether it was performed by an amateur or professional tattoo artist. This can range from five to 15 treatments, or more. Using the PFD patch, Dr. Seiler has found that we are able to provide a stronger treatment each time, therefore potentially reducing the total number of treatments required. 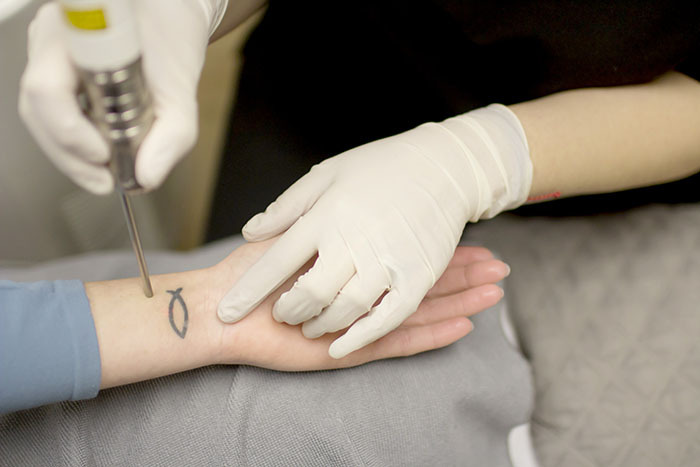 The cost of laser tattoo removal is based on the size of the tattoo and number of treatments required. At Seiler Skin, laser tattoo removal ranges from $200 (small areas) to $750 (very large areas) per treatment. During your consultation, we will provide an honest evaluation of how many treatments will be required to achieve your desired results.